« Biomass fuelled power station at Holyhead: is it sustainable? What do you think? Hydropower in the UK: untapped potential? With one-third of British electricity plants expected to be retired by 2025, and the UK required to meet stringent targets on renewable energy, the need for clean, renewable and sustainable technology is greater than ever. In the previous post, which focused on the controversies surrounding the use of bioenergy, in particular biomass, it was noted that Britain could make better use of water in generating electricity (we are, after all, an island). In June this year, the government announced that it would be injecting £20million into the development of hydropower technology, recognising that it is an under-developed technology in the UK. Nevertheless, statistics published at the end of September by the Department of Energy and Climate Change (DECC) revealed that renewable energy has hit a record high in the UK, with the second quarter of 2011 providing 9.6% of electricity from renewable sources, a 50% rise on the previous year. But there is still plenty of untapped potential. Despite the encouragement by the government to develop hydropower technology, there are numerous UK projects already in place. Spaans Babcock have been contracted to provide hydropower technology for the River Great Ouse, Bedfordshire, as well as at a prestigious Teeside training camp for competitors of the London 2012 Olympic Games, with the multi-million pound upgrade of the Tees Barrage white water course. Steve Garcia, Project Manager at British Waterways, responsible for the upgrade, said: “Once completed the new upgraded course will provide the UK’s first fully sustainable white water course.”(Download the full press release here). Each project will use Spaans Babcock’s screw pump/generators. The generators work in the opposite direction of the company’s Archimedian screw pump, which pumps the water up. The generator screws rotate due to the flow of the water, transferring energy to the driver unit. The energy will then be transformed by a generator into electricity. Recently, the largest single screw was installed at Shane’s Castle in Northern Ireland. The screw was designed and supplied by Mann Power, who are about to install two Archimedean Screw hydro turbines, rated at 150kW each, at Romney Weir on the River Thames. For more information on this installation (and for some fantastic images!) visit the Eco Evolution blog. 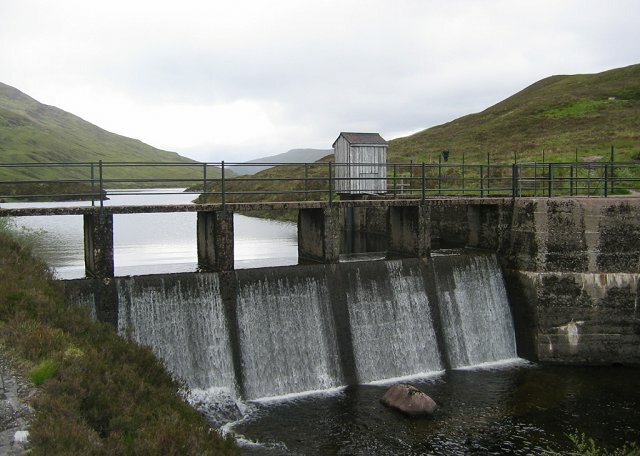 Plans for new hydropower stations in the Scottish Highlands have recently been given the go ahead. A 5MW hydropower development planned at Loch Eilde Mor, near Kinlochleven, will generate enough energy to power approximately 2,400 homes. Finally, although in the early stages, there are also plans to install small-scale hydroelectric stations in the rivers that run through Glasgow’s parks, namely the Kelvin and White Cart rivers, attracting tourists and promoting sustainability. Even small-scale hydroelectric schemes have the potential to generate power, reduce emissions, create jobs and raise capital. This entry was posted on October 13, 2011 at 9:57 am and is filed under Renewable energy, Water & wastewater. You can follow any responses to this entry through the RSS 2.0 feed. You can leave a response, or trackback from your own site.